Always shoot for the moon; even if you miss, you will still be among the stars! We are indeed fortunate and blessed to have an entire galaxy of shining stars in our school, who continue to illuminate their vicinity with their charismatic light. 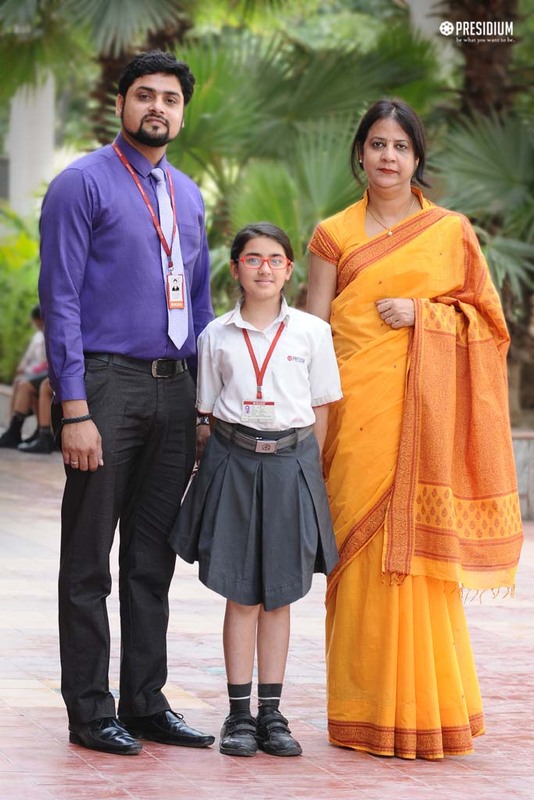 One such star is our child prodigy Mahi Burman of Grade V.
She has made her Bollywood Debut through the movie - Mirza Juuliet, directed by Mr. Shanti Bhushan, renowned for training Mr. Aamir Khan in Bhojpuri language for his record-breaking movie PK. Released on April 7th 2017, the movie has been produced by Shemaroo in association with Falanshaa Productions. Mahi has showcased her enormous acting prowess by playing the childhood of the movie’s lead - Pia Bajpai. Her immense aptitude isn’t just confined to acting. She has previously walked the ramp many times in prestigious events like the India Fashion Week. Her enthusiasm and zeal to excel strengthen our trust in the saying that "a dream doesn't become reality through magic; it takes sweat, determination and hard work." All the best for your future endeavours; continue your journey in realising your dreams. Way to go Mahi!